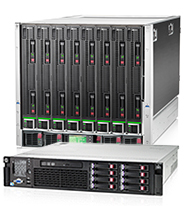 Servers - Page 2 of 2 - I/O Data Systems, Inc.
766342-B21 HP ProLiant DL380 Gen9 E5-2609v3 1P 8GB-R B140i 4LFF SATA 500W PS Entry Svr. 752686-B21 HP ProLiant DL380 Gen9 E5-2609v3 1P 8GB-R B140i 8SFF SATA 500W PS Entry Svr. 826681-B21 HPE ProLiant DL380 Gen9 E5-2609v4 1P 8GB-R B140i 8SFF 500W PS Entry SATA Svr. 826683-B21 HPE ProLiant DL380 Gen9 E5-2620v4 1P 16GB-R P440ar 12LFF 2x800W PS Base Svr. 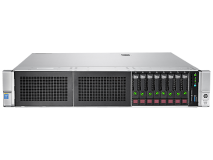 752689-B21 HP ProLiant DL380 Gen9 E5-2650v3 2P 32GB-R P440ar 8SFF 2x10Gb 2x800W Svr. NOTE: Above Proc. is not supported in a 12LFF or 24LFF CTO Server + Rear drive. NOTE: 2SFF rear drives are not supported with this processor in a 12LFF model. C6N27A HP Insight Control including 1yr 24×7 Tech Support and Updates Single Svr. Lic. C6N28ABE HP Insight Control including 1yr 24×7 Tech Support and Updates, Electronic Lic. 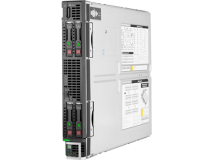 U5HW3E HPE 3 year Proactive Care 24×7 with CDMR DL380 Gen9 w/IC Svc. U5HX1E HPE 3 year Proactive Care Call to Repair 24×7 with DMR DL380 Gen9 w/IC Svc. U5HX2E HPE 3 year Proactive Care Call to Repair with CDMR DL380 Gen9 w/IC Svc. U7AF5E HPE 3 year Proactive Care Call to Repair 24×7 with DMR DL380 Gen9 Svc. U7AF6E HPE 3 year Proactive Care Call to Repair with CDMR DL380 Gen9 Svc. Business-critical workloads and virtualized environments require compact and powerful computing capacity. 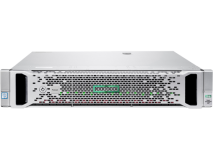 The HPE ProLiant DL560 Gen9 Server is designed for exactly that. To deliver performance, scalability, and expandability in a dense 2U footprint. Deploy the ideal high-density four-socket server for multi-workload compute with the latest technology. It’s designed to help you achieve greater performance at the right price. U8QW7E HPE 3 year Proactive Care Call to Repair 24×7 with DMR DL560 with OneView Svc. 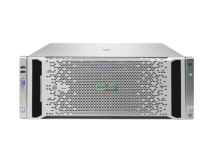 Supporting Intel® Xeon® E7-4800/8800 v3 processors, the HPE DL580 Gen9 offers enhanced processor performance, up to 6 TBs of memory, greater IO bandwidth (9 PCIe Gen3.0 slots), and 12 Gb/s of SAS speeds. 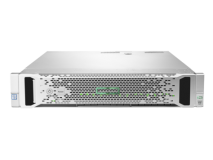 HPE ProLiant DL580 Gen9 has security and data protection features for system resiliency that your business can depend on. All, making it ideal for mission-critical enterprise, business intelligence, and database applications.